As we previously told you, NVIDIA DLSS support in Anthem is scheduled to go live with today’s game update. 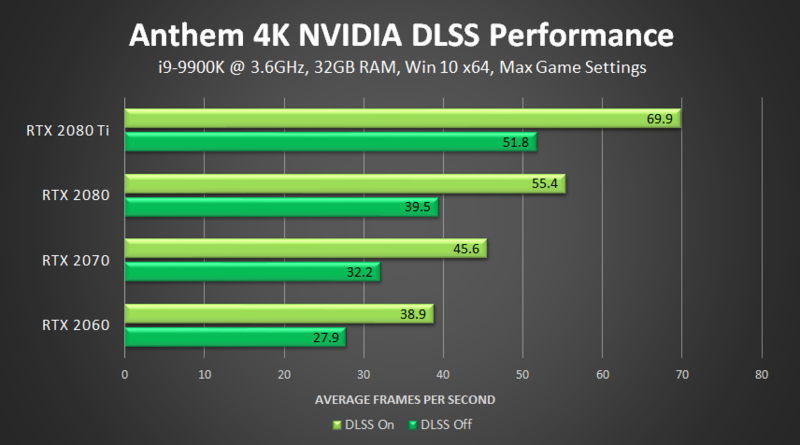 NVIDIA has now posted official benchmarks revealing the performance boost enabled when using Deep Learning Super-Sampling on GeForce RTX hardware. Apparently, it goes up to 40%. 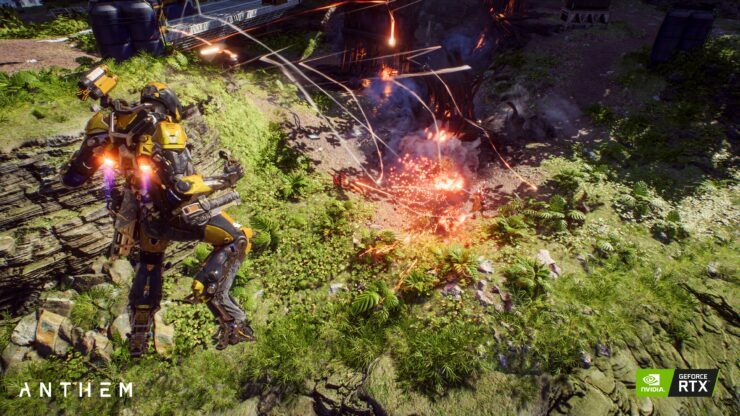 NVIDIA also shared a brief gameplay video to showcase Anthem running with DLSS enabled. Of course, we’ll have to check it in action for ourselves to assess the image quality. As usual, NVIDIA is promising both performance and IQ improvements to DLSS to be delivered via software updates as their neural network supercomputer trains itself and improves over time. 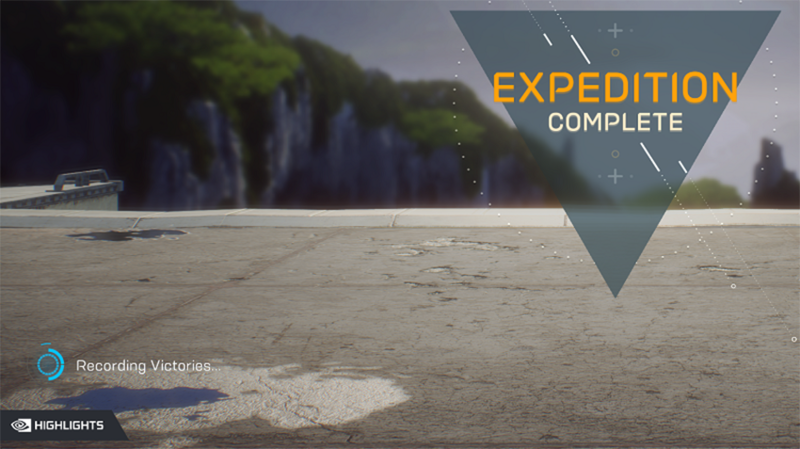 After installation of the new update, and our latest Game Ready Driver, GeForce Experience users will see an in-game prompt asking if they wish to enable Highlights (if you don’t, open GeForce Experience, click the cog on the top right, and switch on “In-Game Overlay” in General Settings). 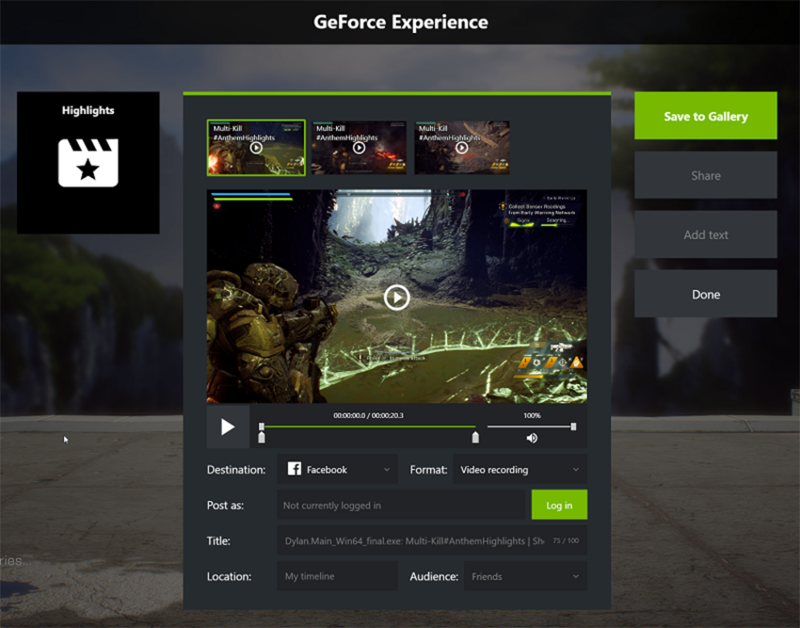 Upon clicking the button, the GeForce Experience in-game overlay will open, enabling you to quickly review, edit and share your Highlights. 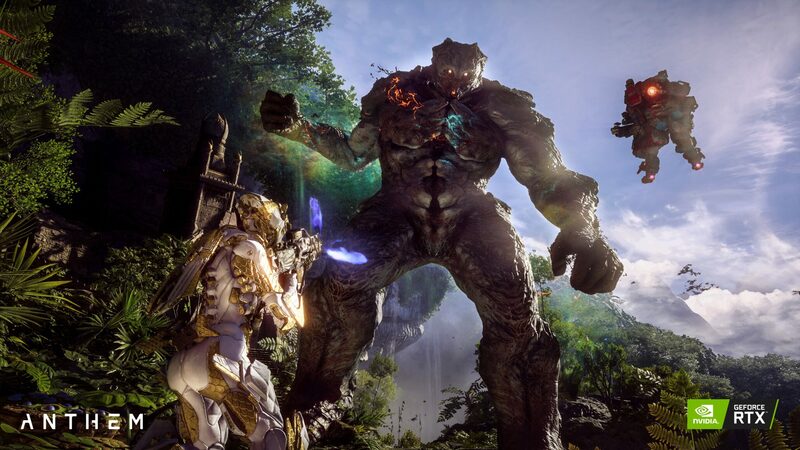 BioWare has now posted the full Anthem 1.0.4 update notes. They also add several Field of View sliders to the PC version of the game, among other additions and fixes you can find below. Patch size is 2.3GB – 2.5GB on PlayStation 4 (depending on region), 2.5GB on Xbox One and 2.6GB on PC.